Product #5632 | SKU CRA-203 | 0.0 (no ratings yet) Thanks for your rating! 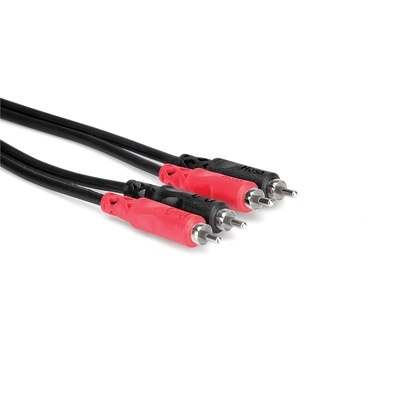 The Hosa Stereo Interconnect Cable (3m). This cable is designed to interconnect gear with stereo phono jacks. It is ideal for interconnecting consumer audio components. This heavy-duty cable's injection-molded terminations offer outstanding performance and durability and feature nickel contacts.